Removing and replacing a classic Mustang Ignition switch is a pretty easy task, it only requires a paper clip to remove the ignition cylinder and an ignition switch bezel tool if you need to remove the entire switch assembly. Read this article to see just how easy it is. For this demonstration we will be removing the ignition switch from a 1967 Mustang coupe. 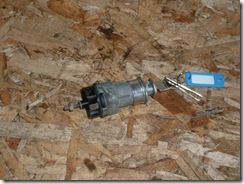 To remove the ignition cylinder from the assembly you will need the ignition key and a large paper clip. Bend one end of the paper clip straight, put the key in the ignition, turn the ignition switch to the accessory position, insert the paper clip into the small hole, push inward and then turn the ignition switch again counter clock wise and pull out the cylinder. To remove the entire assembly you should use an ignition switch bezel tool to remove the bezel from the assembly, the bezel secures the switch assembly to the dash. Thanks for that demonstration, it helped me out on my 67 Mustang. Hello, I actually have a question. I don’t know much about cars, and I’m asking on behalf of a friend of mine. Yesterday his key got stuck in the ignition. It still won’t come out, and it take many tries to get the car to start. He said he isn’t too sure how to change the ignition as this is a newer model Mustang. I believe it’s an ’07. Do you have any advice or do you know how to perform this task? Having a whale of a time getting the Ignition switch to go back in the tumblers are not lining up right trying to make sure the key is in correct position and seems there is only one way for the cylinder to slide in very frustrated. any help would be appreciated !!!!!!! Kent.. to re-install it’s the reverse of removal; you’ll have to but the key into the cylinder and then bush that pin in and give it a twist counter clockwise, it should go into place and then turn the key clockwise to ACC or off..
I’m glad I found this sight. 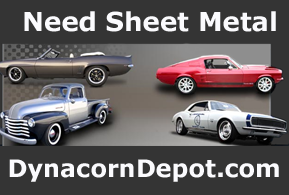 Great to find some online write-ups for the classic Mustang! Might you know where a Ignition Switch Harness could be found? I need to replace the switch in my 66 Mustang but my key is broken. How can I do this with out a key? There is a couple of ways to do the replacement. I would recommend removing the ignition assembly from the car completely; it is spring loaded so all you have to do is apply pressure to the face of the bezel with the palm of your hand and then from the back side push the switch assembly toward you and gift it a twist to disengage it from the bezel.. check this link so you can get a view of the components you will be dealing with http://mustangparts.averagejoerestoration.com/mustang-exploded-view-illustration-manual-mp-347 Once removed then you can decide if you want to replace the entire unit or just replace the cylinder if you can remove it from the switch. outstanding instructions!!!!!!!!!! works like a champ. thank you. Hey Joe, quick question. I was replacing my ignition cylinder last week, but upon trying to put the new one back in, I realized that the back of the assembly had come apart. There are like 3 pieces: a black piece that the end of the lock cylinder seems to mate to, and 2 copper plates. Is there a diagram that i could find that would help me put it back together? Hope you can help! If your ignition assembly has fallen apart I would recommend replacing it; the last thing you need is an electrical fire or wiring melt down. hi quick question, i want to get a key cut for my 66 mustang at the local home depot what type of key do 66 mustangs use. I just replaced the ignition cylinder on my 66 Mustang Pony. The key will not go further to the right than “on.” While in ACC and ON the radio comes on indicating power. 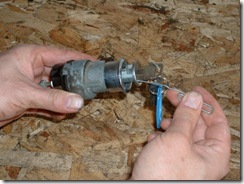 Also while the key is in the cylinder it is hard to remove when in off position. With cylinder removed the key comes out easier. Have a question, I have removed the cylinder, bezel and bracket. how do I remove the switch? Looks like a small nut in the back of the switch. Oh its a 67 mustang. Thanks for any help. If you have the switch out but still attached the the wiring, then yes the small nut needs to be taken off and then you can pull the ignition switch out of the Mustang. 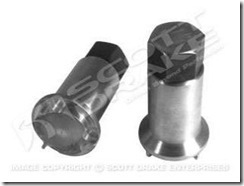 JoeResto, can the ignition cylinder from a 67 Mustang be used in a 66? I want to replace all the locks in the car but the only complete kit is for a 67. The other locks (door, trunk, glovebox) look the same but can’t be sure on the ignition. I do not believe that the ignition cylinder from the 67 Mustang will work in the 66 Mustang, I also think that the door locks may be a little bigger in diameter on the 67.
ive just replaced the assembly and ignition cylinder on 1967 Mustang. As i see it the cylinder goes in only one way. When I slide in the ignition cylinder it slides in fine, then i push it as far as it will go and turn counter clockwise. Is the cylinder suppose to lock in place and then you can turn it clockwise to start it? when I turn cylinder counter clockwise it does not lick in place and just slides back out. 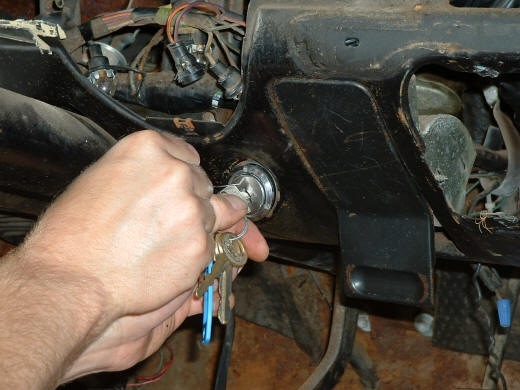 The ignition cylinder should lock in place once inserted, make sure that the key is in the cylinder when you do the installation; You can also do a bench assembly while the switch and cylinder is not installed in the car to get a feel for how it all works, then do the installation. Hey I have a ?. I have a 70 mustang had to replace the switch on the column with a after market part# BDW cs67. how do you adjust it to work wright. I couldn’t even cut the car off after it started. I also had to splice the pig tale from the original switch. Any help ? I have taken out my ignition switch and the key tumbler. I bought a new bezel and the hole ignition switch and keys. I want to reinstall it. Is there a special tool for the 1965? I can’t get the ignition to go all the way on the bezel. I works out side of the dash, just can’t get it in the dash. Any help? how can you get it out without a key? do we need to dismantle the dash? any suggestion would be great. You should be able to remove the entire ignition switch assembly without a key. You will need to remove the bezel that holds the ignition assembly to the dash using the removal tool or a larg flat head screw driver. i got a 86 mustang and i really dont know much about it im trying to put a new key swich in it i lost the keys to the old one and have know idea how to change it.. wood you know how to get it out? I have a ’70 Mustang that the keys to were flushed down the toilet by the grandson. As they were the only keys how do I remove the ignition cylinder from the column and replace it? Thanks in advance and Happy New Year. Can the cylinder be removed from the ignition without the key, the car we are restoring has no keys. Thank you. 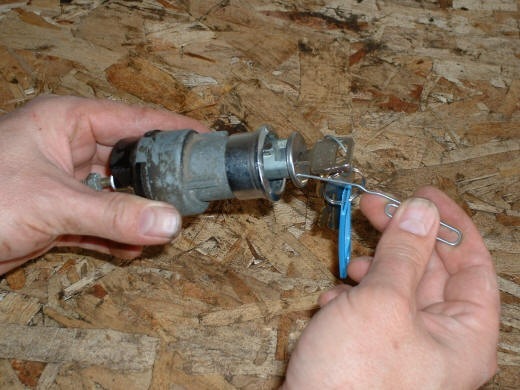 The key is required to remove the cylinder from the switch; however you should be able to remove the entire switch and replace it and the key cylinder or you can take it to the lock smith and have the key cylinder moved. I lost my ignition key to my 2002 mustang & price of new key would be more expensive the a new ignition cylinder so what tools & how would I take out & install new ignition cylinder. 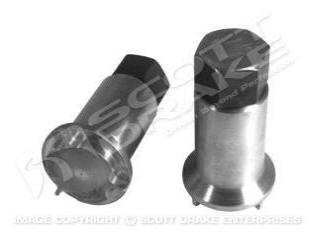 thx for any information you can give me.Stacy c.
Is there a ignition switch bezel tool for a 66 mustang ? I cant install the new switch its spring loaded,and I cant get enough pressure on it to slip and turn the front bezel on !!!!! OK, I must be missing something simple. im replacing the ignition switch in my 1965 Mustang. I have it all back together but I cant get the new key sleeve to stay in the cylinder. I get it lined up correctly so that the knob depresses the spring in the back of the switch. When I turn the lock it moves so you can feel the acc, off, start, and run position. But when I let go of the key it springs out at me. What an I missing? You should try the assembly on the bench, out of the car; this will help you clearly identify the problem. my ignition switch lock cylinder on my 68 mustang is upside down as compared to all of the videos I’ve seen. The small hole is at the top left instead of the bottom right. I’m turning it to accessory with the key and inserting a paper clip but I’m having trouble getting the lock cylinder removed. I don’t really feel the springing action when I insert the paper clip. Could the reason be that the previous owner put the cylinder upside down? If so what should I do?